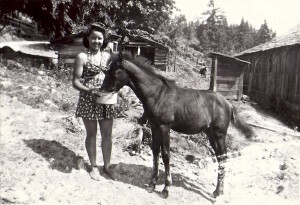 Chick and Tiny the horse. 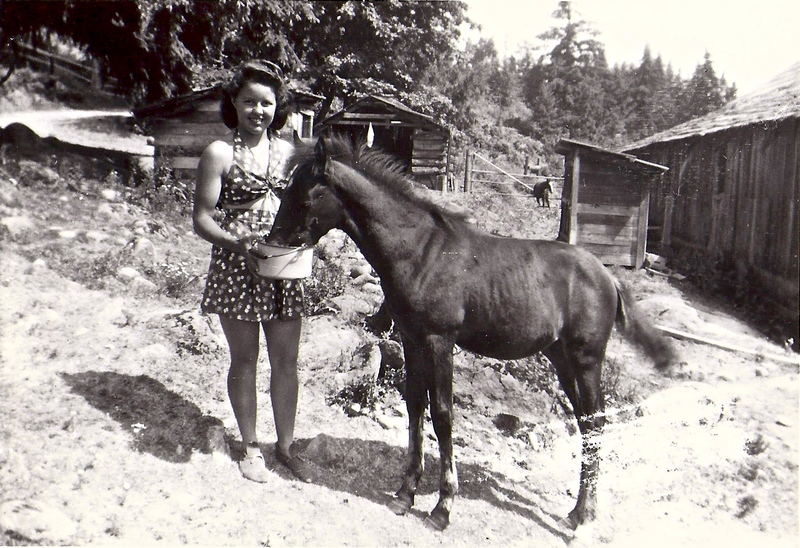 Taken out on the Jensen family farm, Mae Ladinne Duffy, better known as Chick, is feeding Tiny the house. Behind her is the barn on the rights and a couple out buildings. Chick later married Zeke McConnell. Photo courtesy of the Carney family. She (Chick) and and her husband Zeke were really nice people. My Dad worked with him at Boeing. They worked out a deal where we would take a horse and her colt off his hands and when the colt was old enough to separate we could keep the mare. That was Frosty, a work horse looking gal who was good with kids and easy to ride. We enjoyed her as did the city cousins for years.